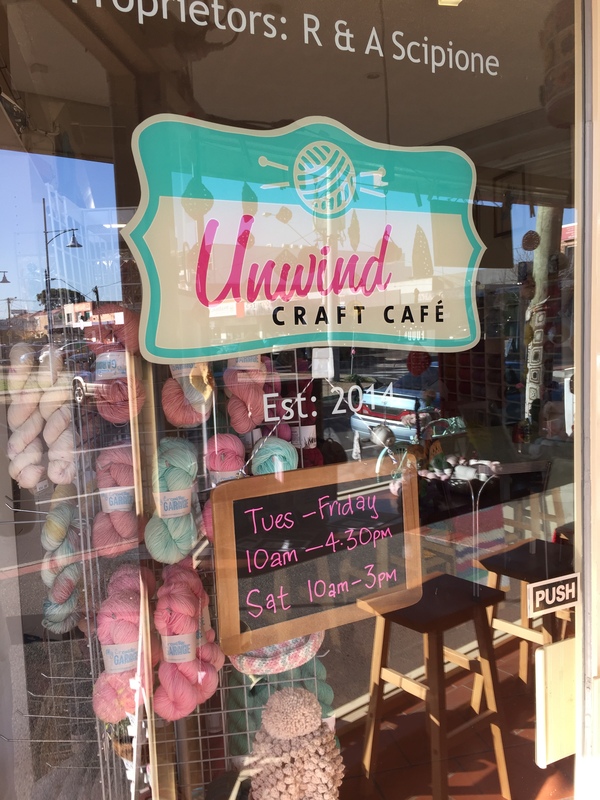 For the past 2 months I have had the pleasure of having my yarn featured as a pop-up at the Unwind Craft Cafe in Keilor East, Melbourne. 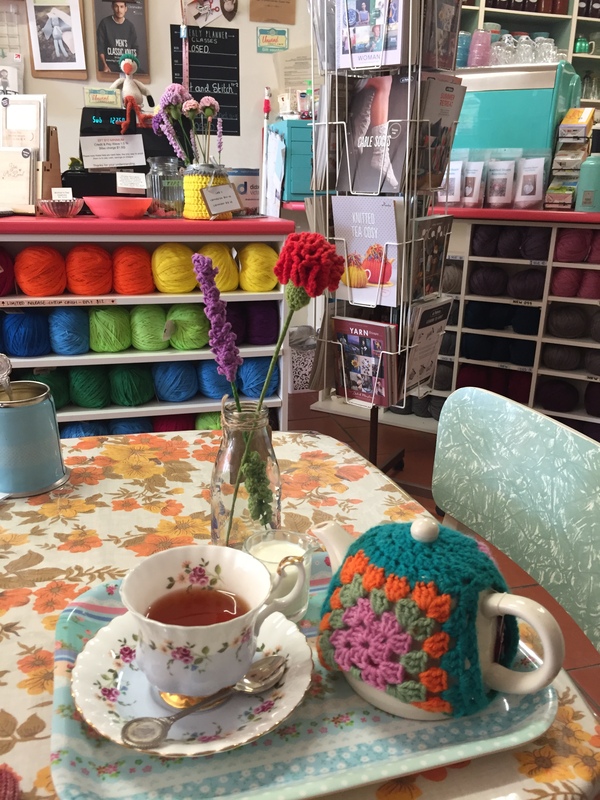 The cafe is the perfect place to sit and knit or crochet, talk about projects with like minded people and enjoy amazing scones. The staff are so friendly, welcoming and open to chat. 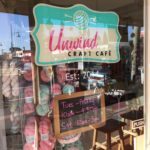 The opportunity to work with these lovely people came about because a friend and I decided to meet there to sit and knit for the day. 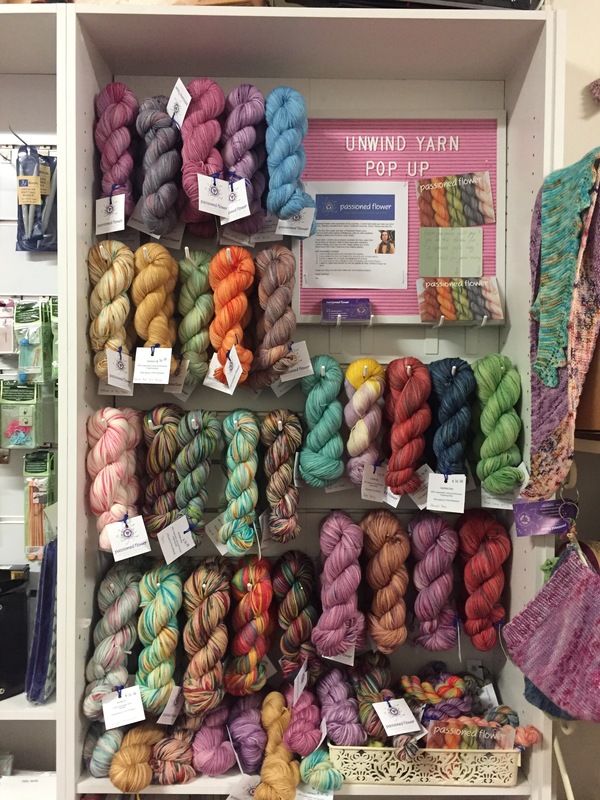 We got to talking, they liked the yarn I was knitting with (which happened to be my own hand dyed yarn) and before I had left the store that day I had all the information on their pop-up program. As a small hand dyer, getting the opportunity to feature in a brick and mortar shop is a huge and exciting opportunity. 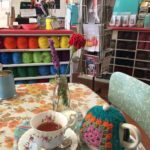 Not only does it expose new customers to my business but it also gives me insights into what colours are popular and the potential projects that purchasers are interested in making. It has been exciting to participate in their Sit & Stitch evenings and talk to crafters who are buying my yarn. 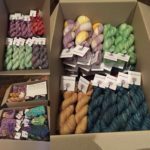 I have helped to choose colours for projects, talk about things that I have made and encourage others try a new projects.